Madeline Kahn is Pauline Fox in "Cosby"
Bill Cosby has certainly gone all out on his new CBS sitcom "Cosby." 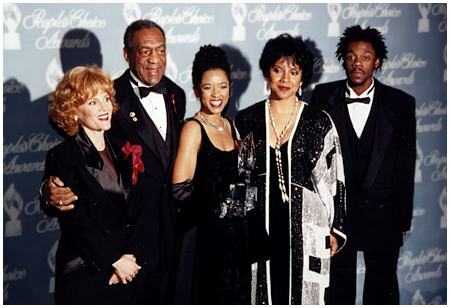 He has invited back his "Cosby Show" costar Phylicia Rashad to potrtray his wife again, thus reclaiming the marvelous chemistry they shared on that terrific earlier show. What's more, to play his wife's best friend, he has acquired the brilliant comic force of nature that is MADELINE KAHN. Naturally, Madeline has all the funniest lines. Also in the cast are T'Keyah Crystal Keymah as his daughter and Doug E. Doug as a family friend. piano.wav: Pauline compares a man around the house to a piano in the kitchen. lockdoor.wav: Sound advice from Pauline on getting rid of an unwanted husband.